The Air Force has long been dominated by fighter pilots at senior leadership levels. It may be time for that to change.. The preference for fighter generals continues despite the Air Force “having a greater number of nonfighter officers and a more technologically diverse set of missions,” according to the authors of the study, which was released in February. They argue that one reason for the reliance on fighter pilots to fill leadership roles comes down to how the Air Force needs to be viewed by Congress and the Pentagon during political bargaining and budget battles: as a warfighting force on par with the other services. However, the nature of warfare is changing. In a future conflict with a near-peer adversary, space and cyberspace, networks and unmanned aircraft will all play a major role. And the different branches of the armed forces will have to function as one team as never before. If innovation is the key to retaining superiority, is it time for the Air Force’s so-called “fighter jock culture” to change as well? It depends on who you ask. Air Force Times spoke with roughly a dozen current and former Air Force officers about the dominance of fighter pilots in the Air Force, why that hierarchy exists and whether it is best-suited to meet the challenges that lie ahead. They included pilots, intelligence analysts and other career fields and ranged from lieutenant colonel to general. Several wished to remain anonymous, but offered their professional observations based on decades of service. Not everyone buys the premise that the leadership hierarchy is an issue. “Personally, I think the Rand study missed the boat and they took the easy road going for the ‘fighter pilots run everything’ dog whistle,” a recently retired colonel, who flew MQ-9 Reaper and MQ-1 Predator drones, KC-10 tankers and F-15 fighters, told Air Force Times. Each Air Force officer comes from a particular “silo,” he noted. Many of those interviewed agree that a hierarchy does exist within the Air Force, with fighter pilots dominating the command structure, but they pointed to a number of reasons why that is so. 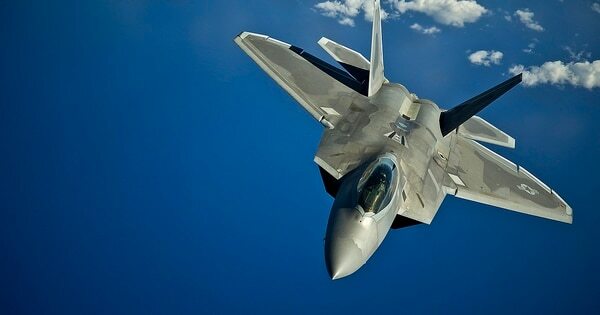 Fighter jets are a coveted airframe in pilot training, some noted, with the best of the class opting to fly the best, most advanced airframes in the fleet. Others suggested that structural differences in how and when officers in different career tracks are slotted for joint assignments could explain why fighter pilots end up in more command positions. But fighter pilot dominance is not permanent, several officers said. As the service becomes more diversified, more cyber, space and drone pilots, among other careers, will rise to the top. The Air Force of 2050 will undoubtedly be more diverse and technically savvy than ever before. 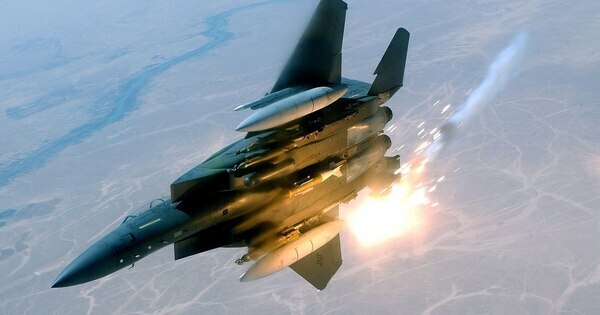 While fighter pilots are likely to dominate top leadership posts for the foreseeable future, the changing nature of warfare would indicate that those days are numbered. A new, congressionally mandated study of the Air Force’s future requirements, carried out by the Center for Strategic and Budgetary Assessments, devotes attention to the need for more stealthy unmanned aircraft. Near-peer competitors like Russia and China will present a “highly contested” environment characterized by mobile, overlapping and interconnected surface-to-air missile systems that use passive sensors and other methods to avoid detection. The shifting composition of the force all but guarantees that more officers in non-fighter pilot roles will work their way up to top leadership positions. One suggested reason for fighter dominance is the career-field’s tendency to produce more experienced joint leaders. But other pilots do attain significant joint experience as well, said retired Gen. Carlton Everhart II, who retired last year as head of Air Mobility Command. However, he said, it’s when an officer leaves the cockpit and pursues joint duty assignments that may be the ultimate funnel in determining his or her career trajectory. Everhart said air mobility pilots have reported to him that they start getting joint experience when they are majors, earlier than fighter pilots typically do. That may sound like a good thing, but because they start earlier, they experience a crowding phenomenon as they move up the ranks. Fighter pilots dwell in the operational world a little bit longer, until O-5 or O-6, and are prioritized for joint assignments at that point, he said. 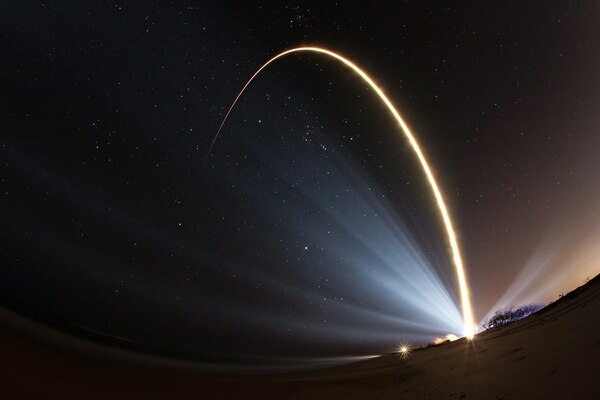 As the service — or perhaps a Space Force — adds more space-focused officers, they too will need to jump into the mix of competing for joint assignment slots. The number and importance of officers in cyber warfare, unmanned aircraft and other career fields will also demand more opportunities for joint experience, which in turn will make them more competitive for top leadership positions later in their careers. The tendency to promote fighter pilots may reflect other needs across the armed forces, and even within civilian leadership, according to a retired two-star general who served the bulk of his career in fighter aircraft. When the secretary of defense and the president sit down with Air Force commanders and ask for options to respond to security threats around the world, it helps to talk to a leader with significant combat experience, he said. That also doesn’t mean fighter pilots are always preferred for promotion, said the two-star, who has served on multiple promotion boards. 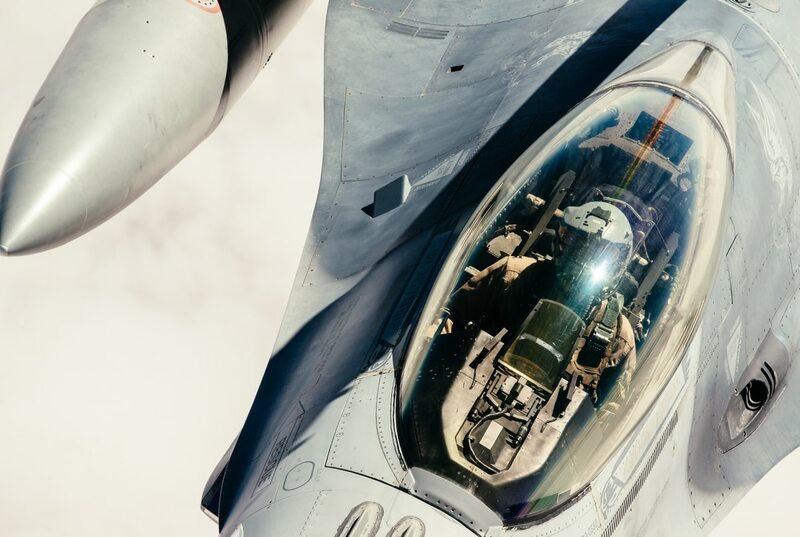 Fighter pilots tend to be promoted for senior leadership more than their peers in other career fields only after they’ve been taken out of their fighter role and rotated through tours in the joint community, including cyber, space and logistics. But Goldfein pushed back on the notion that combat experience is a key to selection as a top general, noting that combat credibility dwindles over an officer’s service life. “By the time you become a general officer at the senior levels, it’s been upwards of 10 years since you’ve been in your tribe,” Goldfein said. While experience — especially joint experience — is a crucial part of an officer’s development, does that correlate with leadership? And, by extension, do fighter pilots make the best leaders? Not necessarily, according to the Rand report. Goldfein says the service is working to shuffle the best leaders to the top of the stack regardless of their background. And those leaders will be defined by their vision and ability to inspire others. 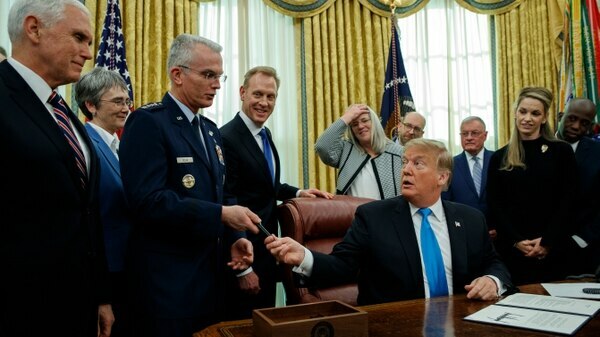 “When I’m presenting options as a joint air chief, what I happened to have flown 10 years ago is nowhere near as important as the credibility of having the best ideas going forward,” he said. The best leaders with the best ideas take time to percolate to the top ranks. But the Pentagon might be able to shortcut that timeline by bringing leaders into the service laterally, according to Rob Levinson, a retired Air Force intelligence officer who now works as the senior defense analyst for Bloomberg Government. When a civilian tech company needs a new CEO, they can head-hunt from another company. The Pentagon can’t do that. Finding a competitive civilian cyber professional with significant management experience, one who is tempted to serve, but unwilling to fully sacrifice his Silicon Valley career trajectory, and bringing them in as a colonel or general could provide a work-around — although a controversial one. Levinson’s out-of-the-box idea represents the urgent needs of the entire U.S. military to address new domains of warfare that have opened up. Staffing the lower ranks can be easier than finding the right leaders to head new commands covering new domains. “We are starting to see an inkling of a change,” said retired Brig. Gen. Bruce McClintock, an F-16 and A-10 pilot whose assignments included a stint as defense attaché to Russia and service as special assistant to Gen. John Hyten when he led Air Force Space Command. Hyten, McClintock noted, was not a fighter pilot. Hyten moved on to helm Strategic Command, the Pentagon’s unified combatant command responsible for strategic deterrence, global strike and the military’s global information grid. And he has just been nominated to serve as vice chairman of the Joint Chiefs of Staff. His rise may serve as a bellwether for other Air Force cyber and space leaders. Similarly, it will take time before second lieutenants commissioned straight into the unmanned aircraft community rise up. Today’s leaders recognize the internal conflict that exists when warfare changes. Drones may make pilots feel insecure. Cyberspace may be a tough domain in which to scout talented airmen. And understanding the complexities and consequences of combat is an important reality to instill in leaders, especially as those who pull the trigger on the enemy do so ever more remotely. For the current air chief, the challenges of an evolving Air Force also present opportunity. “There’s room in our Air Force for people who do space, who want to do cyber, who want to go fly fighters, who want to fly tankers, who want to fly RPA, who want to be involved in projecting global power. ”You know, we got room for everyone."